This is one of those cases where a dog has paid a huge price for exaggerated features humans have deemed desirable in a purebred dog. 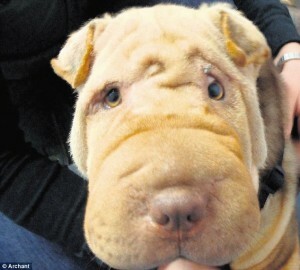 Molly the Shar Pei was bred to have such a wrinkled face that no care was given to how this might affect her. 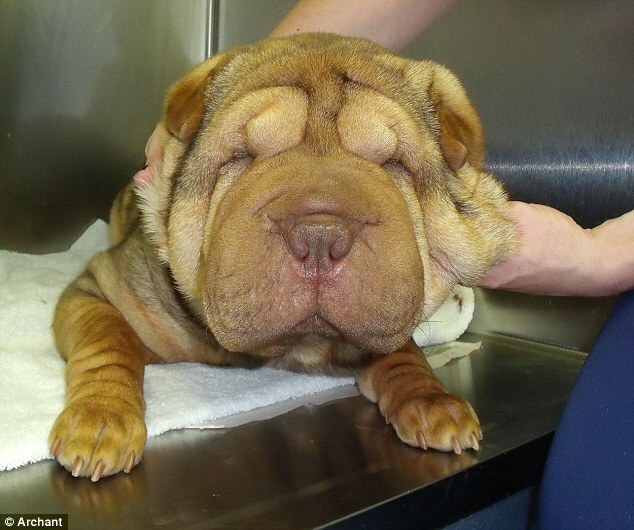 One of the results of selecting for wrinkles can be increased cases of entropion—an extremely painful condition where the eyelids are rolled into the eye and the fur scratches the dog’s cornea. Molly’s entropion was so severe she had never actually been able to see and was at risk for going blind from the damage to her eyes. Sickening. 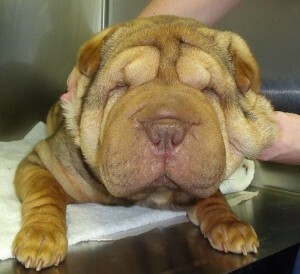 But, Molly’s vet gave her a pretty extreme facelift and now she can see. Awesome!